Venture to the edge of the Gulf of Mexico, while exploring the ecology and significance of a barrier island. Kayak through a mangrove system and spot fishing ospreys plunging from the sky toward their prey, as egrets wade through prop roots and oysters. 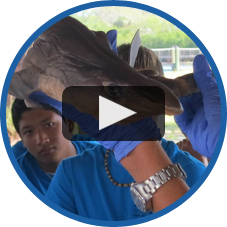 Gain a whole new understanding of sharks through a spiny dogfish dissection. Snorkel through a seagrass community and use a dip net to collect seahorses, crabs, urchins and other underwater denizens. 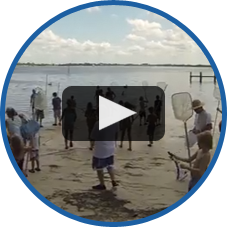 On this outdoor educational field trip, students will become a citizen scientist by gathering real data on biodiversity and water quality that helps monitor estuary health. Practice environmental stewardship through a coastal cleanup and learn how to better sustain the well-being of all watersheds. 941-462-2162, or fill out the contact form on the right.